On September 8, 2018, indigenous people, frontline communities, immigrants, people of color, people of faith, young people, Californians, and people from all across the globe will rise together in San Francisco, California, for climate, jobs, and justice, demanding real climate leadership to keep fossil fuels in the ground. 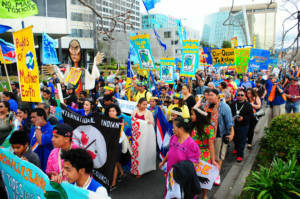 The event titled “Rise for Climate, Jobs, and Justice” organized by 350.org (read more below) is expected to be one of the largest climate rallies ever held on the west coast. The Rise for Climate Action website offers videos of songs for the march, art , and a way to add organizations to the list of partners. It’s not too late to add more! Updates will be added frequently as the September event draws closer. 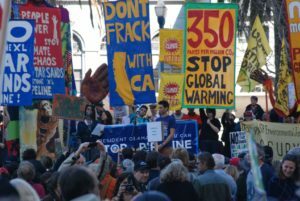 The march and resource fair are timed to coincide with Governor Brown’s Global Climate Action Summit to be held September 12 through 14, 2018, in San Francisco, California. UC Davis has been selected as an official affiliate event host for four sessions as part of the Global Climate Action Summit. See below for more information and links. Organizers hope that all marchers will RSVP at www.ca.riseforclimate.org to help them plan for restrooms and water stations. 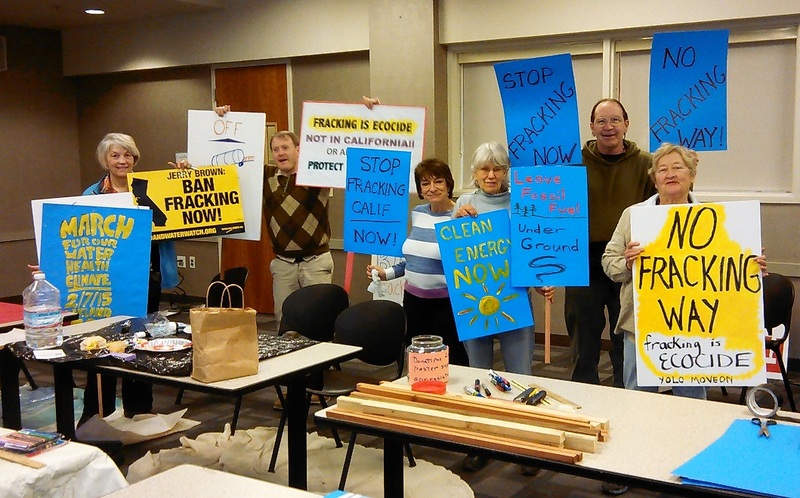 Marchers can make posters and banners on Sept. 2 at 2 p.m. at the Davis Farmer’s Market pavillion at Central Park. Some art materials will be provided, but more are welcome. 350 Sacramento is also hosting an art build on August 25 at the 350 Sac office, 909 12th Street, to create materials for the march. The third bus is full. Please contact Lynne Nittler (lnittler@sbcglobal.net) (Davis) or Megan Elsea (meganelsea@gmail.com) (Sacramento) to find out about the wait list or carpooling. The Woodland bus sponsored by Mothers Out Front is now full. Visit the Rise for Climate Website and select the menu symbol in the upper center of the screen to explore logistics and details for the day’s events in San Francisco. For those who might be out of town or who want to spread the word to family and friends in other locations, the main site connects visitors to an impressive map of events planned around the world. Marchers will begin lining up at 10:00 AM at Embarcadero Plaza at the foot of Market Street, in thematic groups such as faith groups, non-profits, and labor union members. Banners and signs are encouraged, but be sure to avoid sticks and poles that could be considered weapons. The generally flat 1.7 mile-route follows Market Street to the Civic Center Plaza near San Francisco City Hall, taking a leisurely one and a half to two hours. The march begins at 11:00 AM. Accessible bathrooms will be provided at both ends of the march, and water bottle refill stations will be located at the Civic Center area. The projected temperature for September 8 is 71 degrees. Sunscreen, a hat, and a sweater or light jacket are recommended. A resource fair will include informational tables where marchers can make important connections as well as enjoy and participate in the street murals and music opportunities. Local restaurants will be eager to serve the marchers. Marchers may choose to carry a lunch for the waiting period before marching, and snacks for the walk and time at the Civic Center. Sign up for Davis charter bus to Rise for Climate, Jobs, and Justice on September 8 in San Francisco! NOTE: A THIRD BUS HAS BEEN ADDED with half the seats still available. A charter bus will pick up Davis marchers at the Mace Blvd. Park and Ride (the next right turn off 32A after Ikeda’s Fruit market). Roll call at 7:45AM, loading at 8:00 AM, departure at 8:15 AM. Passengers will be delivered near the march starting point at Embarcadero Plaza. The same charter bus will return to Davis with roll call at 3:45PM, loading at 4:00 PM, and departing at 4:15PM at 10th Street in San Francisco. The bus contains a bathroom. To reserve your seat, sign up for the 350 Sacramento and Allies bus and pay now to secure your place. The minimum fee is $5, but the actual cost is $15 per person. 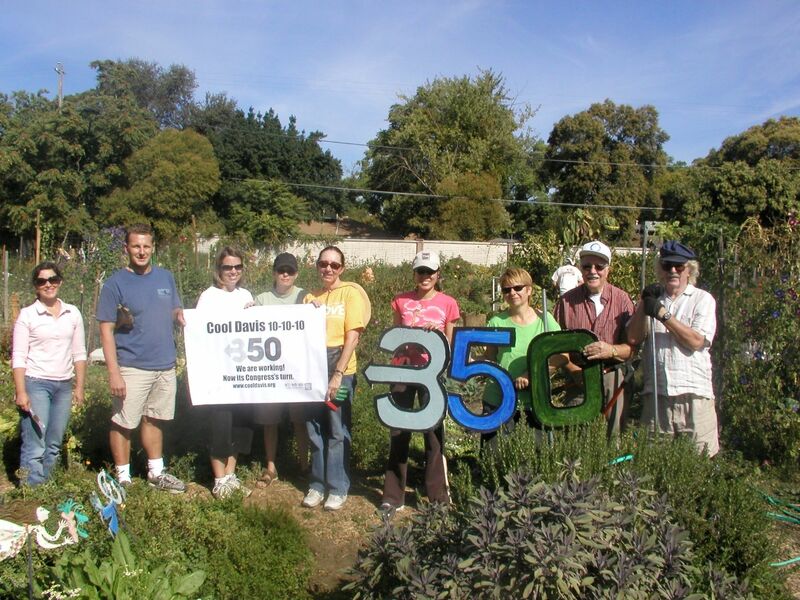 The entire fee is considered a tax-deductible donation to 350 Sacramento, a worthy group and our traveling companions! Sign up right away as these seats are going very quickly! Please also RSVP at https://ca.riseforclimate.org to help event planners provide sufficient facilities such as bathrooms and water. Spread the word about the Rising for Climate, Jobs, and Justice march and rally! Contact Lynne at lnittler@sbcglobal.net for more information or with questions. Can’t make it to SF that day? 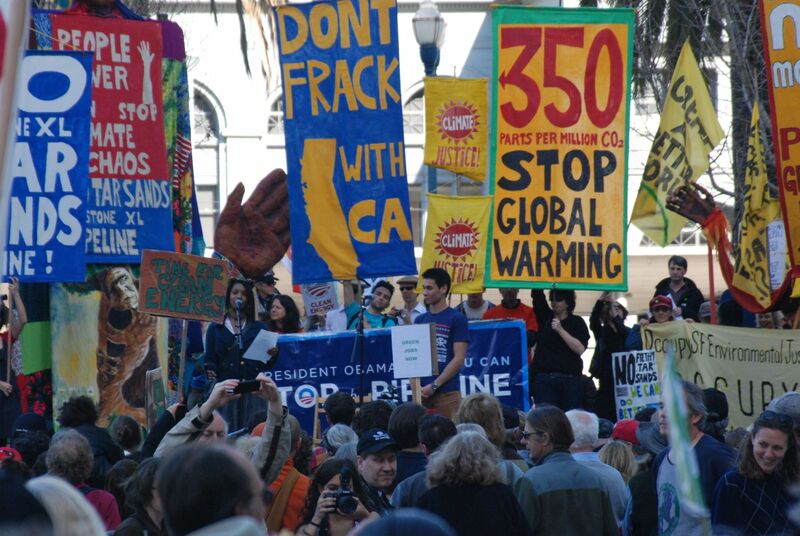 The Sacramento Climate Coalition is organizing an action from 10 am–1 pm at McClatchy Park (Oak Park). This event will include bicycle-powered sound by Clan Dyken, speakers, and booths. It is being held in cooperation with the Oak Park Farmer’s Market with locally sourced and organic food. One of the world’s highest-ranked universities for sustainability programs and innovation, UC Davis is home to two renowned centers for applied transportation and energy research and multidisciplinary graduate education: the Institute for Transportation Studies and the Energy and Efficiency Institute. UC Davis also houses the Policy Institute for Energy, Environment, and the Economy, which engages lawmakers and stakeholders in policy formulation. UC Davis will host four official affiliate sessions on Tuesday, September 11 and Wednesday, September 12 to bring together GCAS attendees around key topics related to climate, energy, transportation, and public policy: topics that would benefit from increased collaboration and in which UC Davis has demonstrated leadership and expertise. UC Davis will also host an evening reception on Tuesday, September 11 open to all session attendees. All events will be conveniently located in downtown San Francisco near the primary GCAS venues. To register for one or more “UC Davis at GCAS” sessions, click here. 350.org has always taken the amount of CO2 in our atmosphere seriously. The name of the organization refers to the amount of CO2 that is considered a safe level of CO2 for life on earth. We passed 400 parts per million in 2014 and now are hovering at 407 and above, way beyond the safe level: 350. 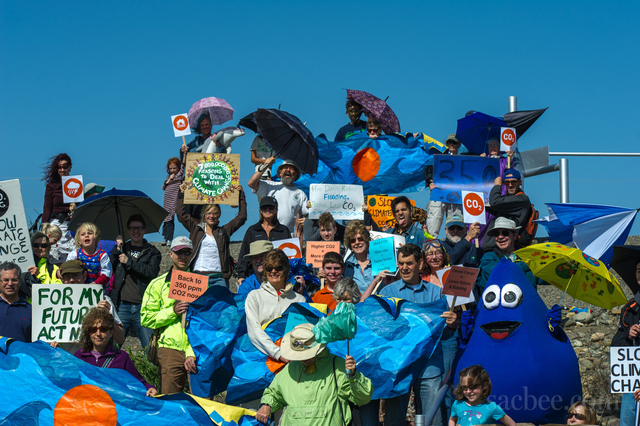 Since its first mobilization in 2009, 350.org has mobilized people to end the era of fossil fuels and usher in a time of renewable energy. From scorching heat to out-of-control fires to heavy rains and landslides to rising sea levels, it’s clear climate change is impacting lives across the globe. It’s time for action now. The mobilization actions call for a just, equitable and resilient 100% renewable energy economy. 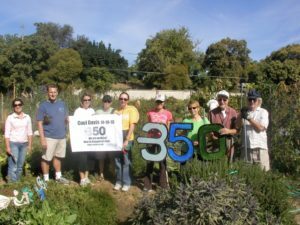 350.org believes it is still possible to quickly expand economic opportunity, create sustainable jobs, and protect vulnerable communities, workers, and future generations. It is time to end the era of fossil fuels and save the climate for the sake of all life on earth. Dr. Kimberly Nicholas explains the problem simply. For more information on any point above, the 350.org. website offers explanations. The obvious solution is to leave the oil in the ground and conserve and develop renewable energy sources instead!. 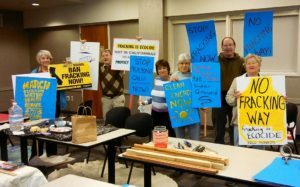 The website also lists some of the actions 350.org has accomplished with its online campaigns, grassroots organizing, and mass public actions. These include opposing new coal, oil and gas projects such as KXL Pipeline and Standing Rock, leading divestment campaigns, and supporting 100% clean energy solutions in 188 countries.